Capturing the grandeur of landscapes or mood of a certain natural light is challenging but often the simple details of a texture or color evade photographers most of all. 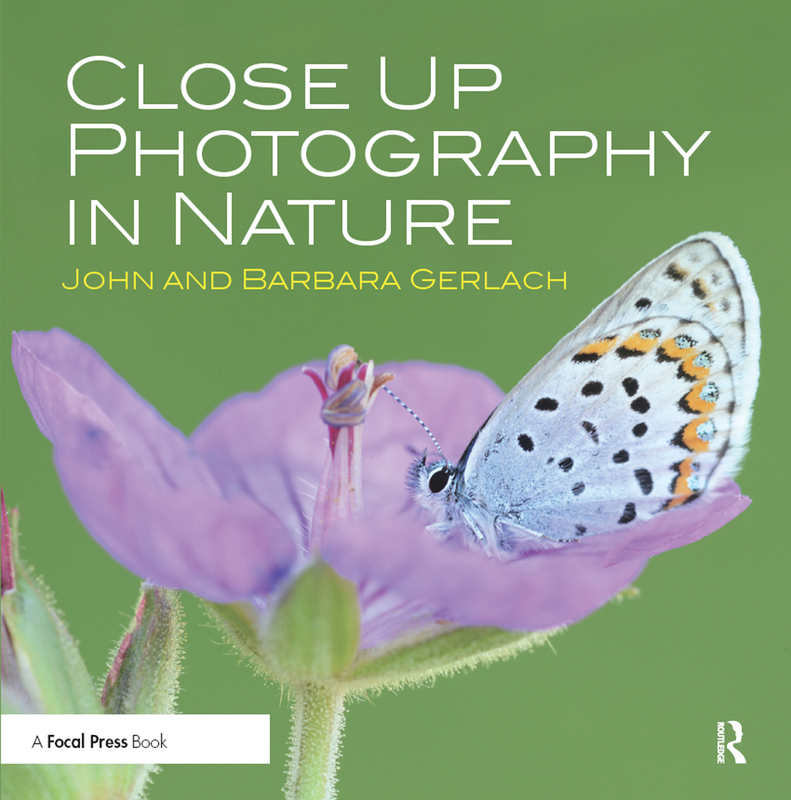 In Close Up Photography in Nature, best-selling authors and nature photography pros, John and Barbara Gerlach, share the tips and techniques necessary to successfully photograph the beauty all around you. The Gerlachs are celebrated teachers who understand a photographer's mind so they begin this book with a brief overview of the fundamentals before delving into some of the more advanced and unique challenges of close up photography. Topics covered include: advanced flash techniques specific for close up shooting, as well as a discussion on focus stacking strategies and tilt-shift lenses for getting maximum depth-of-field. The Gerlachs also discuss their strategy of mixing flash with natural light when shooting close up, which opens up all sorts of photographic possibilities – opening up shadows, creating shadows, separating the subject from the background, reducing contrast between the subject and the background, improving the color rendition, shooting sharper images, and much more. This book will change the way you see the world as well as the way you share it through your work! the world through your work! What’s in Our Camera Bags?